Every year as the temperature drops, the team here at Elek sees a sharp increase in service calls for water heater issues. There’s no time worse than a frosty day or a frigid night for your water heater to falter, but without fail the two always go hand in hand. Luckily, there are simple steps that can be taken to prevent wintertime water heater pitfalls. One of the most common problems we see is a blocked intake or exhaust. With high efficiency, condensing units in particular it is critical that the air intake pipe and exhaust vent remain completely clear from any type of debris, including snow. 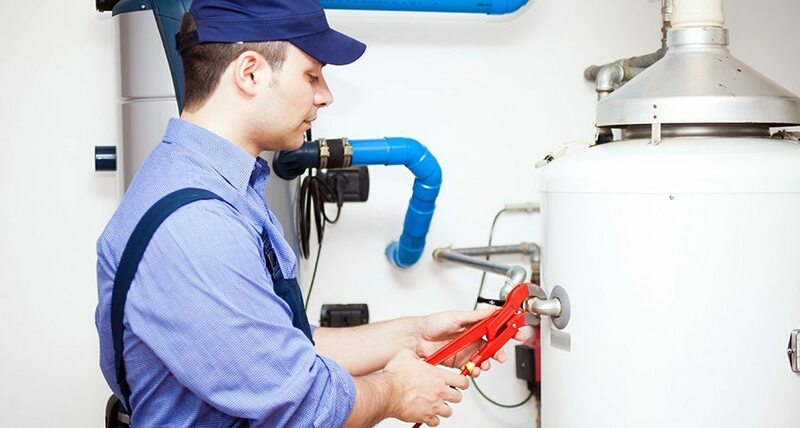 If your water heater is blocked from the air intake side it will most likely stop working, but what’s even worse is that the equipment and its components can be seriously damaged. To avoid costly repairs, it’s imperative that your heater receive adequate air flow to fire up and run as designed. If the water heater is blocked at its exhaust vent, heat buildup could very easily cause damage your water heater. Moreover, without proper air flow you are increasing the risk of a carbon monoxide (CO) backup, which is a very serious health hazard. Even a couple inches of snow can potentially block these critical water heater components, so when you’re out shoveling remember to check these areas and to keep them as clear as possible. If the area near your exhaust and intake happens to be prone to snow drifts, we recommend putting up a snow fence to protect the area from excess snow. It’s an inexpensive and easy way to avoid a major headache. If you haven’t experienced water heater issues yet, good for you! You’re probably thinking this information doesn’t apply to you – but think again. If your air intake or exhaust vent is even partially blocked, your water heater is not working at peak efficiency. So, while you might still have hot water coming out of your faucet, all that potential energy savings you earned from buying a high-efficiency unit is going out the window. For absolutely no cost and a whole lot of peace of mind, just take a walk around your house today to locate your air intake and exhaust and make sure they’re clear of all debris. Remember, proper air flow through your water heater is the key to staying safe, healthy and comfortable – plus, you’ll avoid throwing money away on wasted energy.